The Hive, Nottingham Trent University’s centre for enterprise and entrepreneurship, has been awarded a grant of £75,000. The funding has been awarded by Santander Universities and will be used to run a new year-long Spark campaign, which aims to support students and recent graduates to develop entrepreneurial skills and set up their own business. This exciting project aims to inspire and motivate students, especially those from disadvantaged backgrounds, to increase their own entrepreneurial aspirations and consider entrepreneurship as a viable career option, assisting them to take their ideas from a spark moment and develop them into successful enterprises. The Hive kick-started the campaign on 15 November with a Spark Expo. 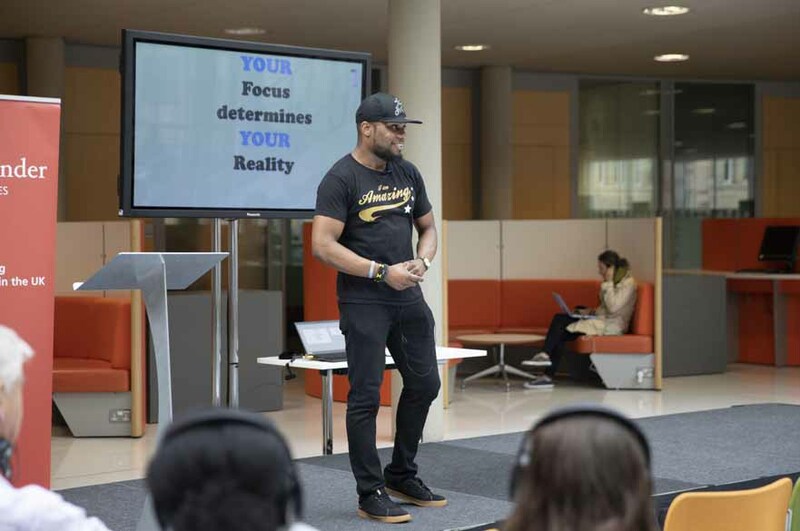 The Expo took place in the Central Court of Nottingham Business School, and visited by more than 400 students who listened to entrepreneurs including, James Douglas, founder of Reds True Barbeque, and Dominic McGregor, co-founder of social media marketing company, The Social Chain, giving inspirational talks on their own “spark moments” explaining their entrepreneurial journey. The launch event will be followed by a series of Spark Roadshows across all NTU campuses. 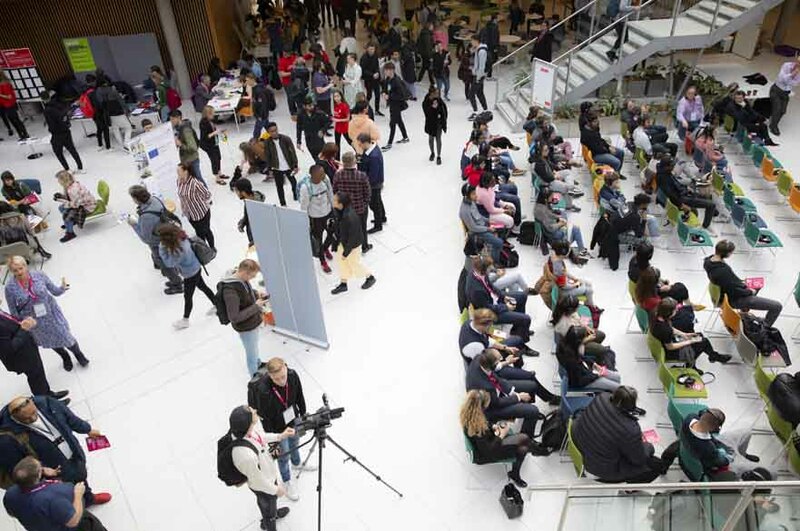 These will feature inspirational talks, a showcase of student and graduate enterprises and lots of enterprise themed competitions and activities, tailored around the degree disciplines and interests of the students at the specific campuses. They will then be offered a variety of workshops and masterclasses, plus potential grant funding of between £500 to £10,000 to help them to ignite and develop new and current ideas into viable business ventures. The University is one of 15 institutions across the UK to receive a grant from the Santander Enterprise and Entrepreneurship Fund, launched to celebrate Santander Universities’ 10th Anniversary in the UK, and was created to enable universities across the UK to develop ambitious projects that deliver real economic, social and employment benefits.